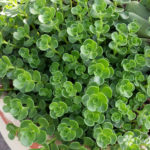 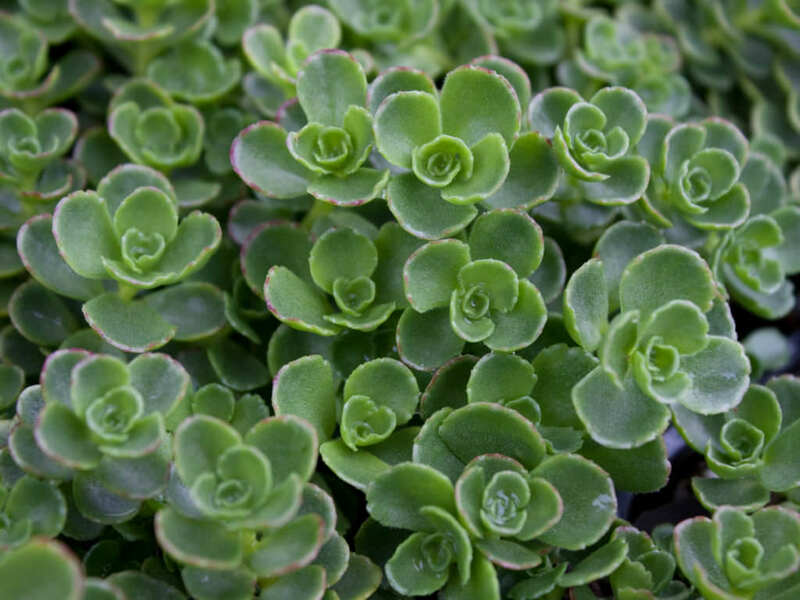 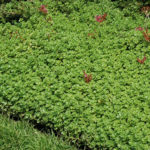 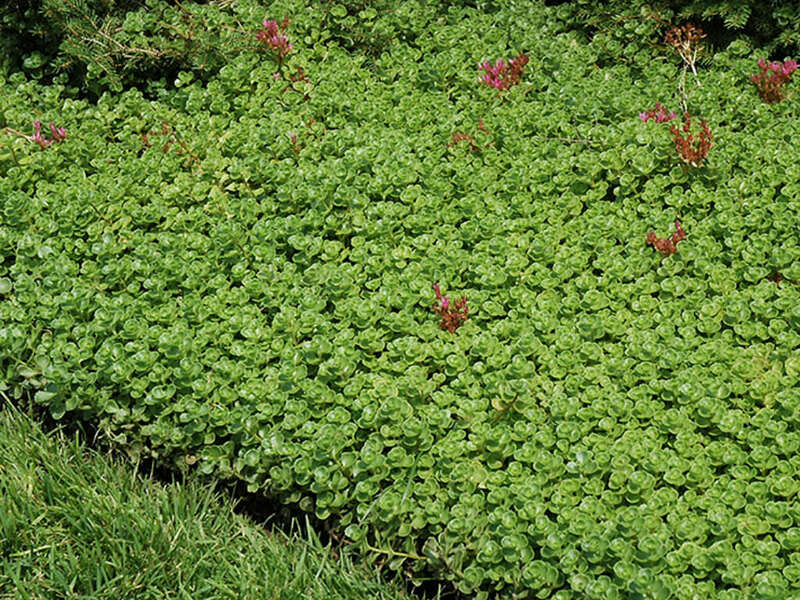 Phedimus spurius ‘John Creech’is a small, spreading Stonecrop that typically grows up to 2 inches (5 cm) tall but can quickly form a dense mat of foliage by creeping stems that root at the nodes as they spread along the ground. 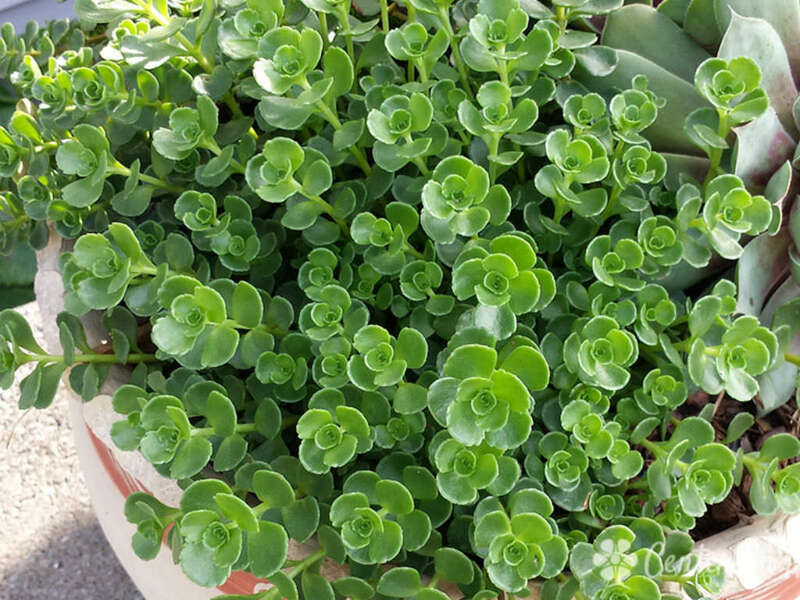 The leaves are small, scalloped and green in color. 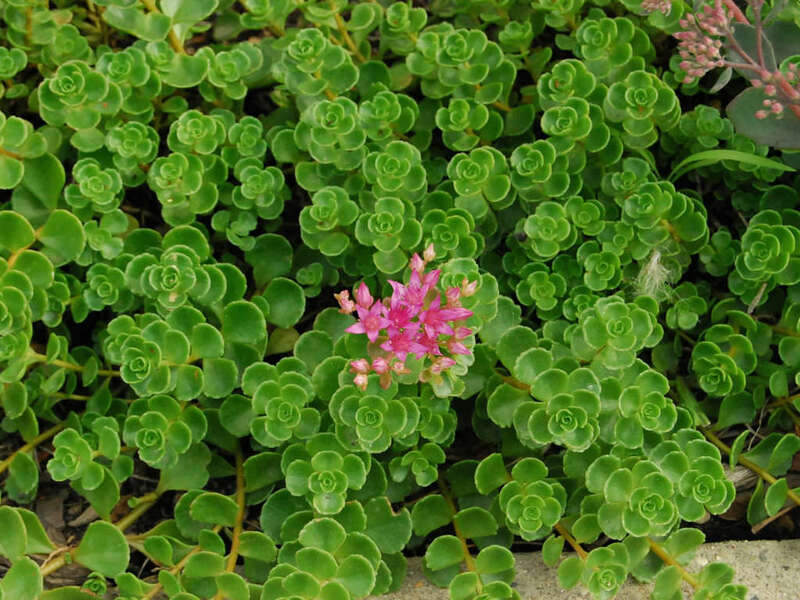 Pink flowers appear above the foliage in fall. 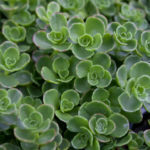 John Creech, former director of the U.S. National Arboreteum, reportedly collected this plant at the Central Siberian Botanic Garden in 1971.